Bangalore, 20 July, 2016: The country’s leading premium furniture retail chain, Simply Sofas, announced its 2016 World's Best Sale. With up to 30% off, the sale features the entire collection which consists of 17 celebrated brands from across Europe. 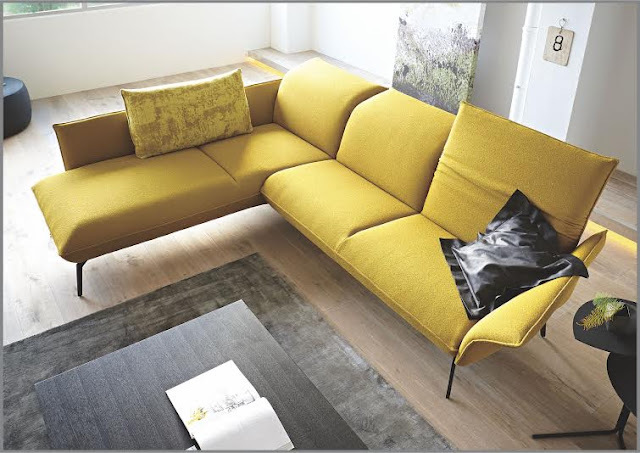 Leolux, Bonaldo, NicolettiHome, Koinor, ALF Italia, Tonin Casa, Stressless, and Calligaris are a few of the globally acclaimed brands at Simply Sofas. The range consists of sofas and recliners, alongside furniture for home theatre, dining, study, and the outdoors. This includes iconic models that have won prestigious awards such as the Red Dot Design Award and the Interior Innovation Award, not to mention an unparalleled choice of over 2,000 shades of leather, 400 colours of fabric, innovative designs, new materials and finishes, and the latest from the Milan 2016 collection. A small section of the range can be explored online at www.simplysofas.in. 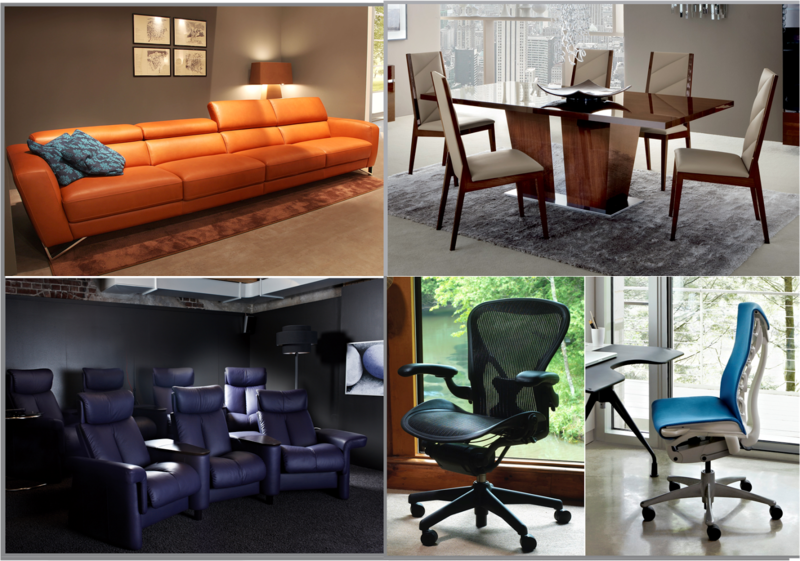 The full range with the limited period sale is available in stores, in Bangalore, Chennai, Coimbatore, Kochi, and Pune. Just when your daughter's birthday party, or a casual meeting with friends or perhaps, a formal business meeting is around the corner, you realise that you don't have enough seating arrangements at home. So, you ask a close friend, some experts or look up in the internet for answers. And all you hear is people suggesting to add more furniture to your space or buy a sectional. But, then again you're confused whether to buy an L-seater, a symmetrical sectional or whether a sectional will fit your space. So, here's a complete buying guide that will give you an idea and all parameters you need to consider before buying a one. 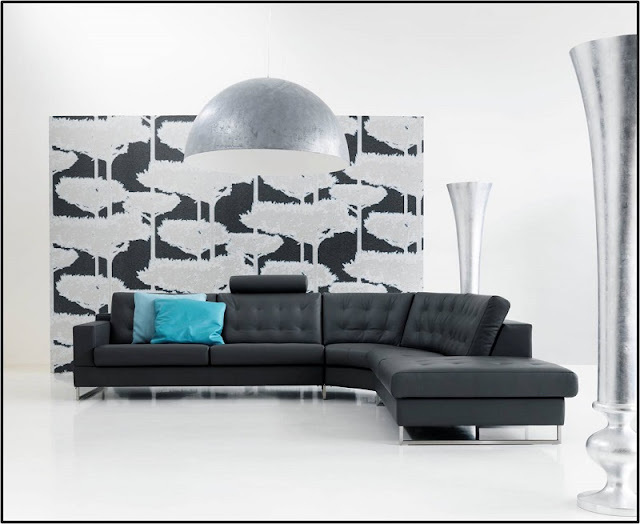 Would you like to rearrange and reconfigure your sectional very often? How do you plan on using this sofa and room? For a casual family hang out space or lounging in front of the television? Or having many friends and relatives over? Will a sectional fit in your space? Or would a sofa and loveseat? Or a modular sectional fit better? Once you answer these, think about its components. Each one should be considered thoroughly keeping in mind the floor space, style of your décor and expediency. Colour: Sectional sofas are available in a variety of colours. You can go for a neutral or a vibrant colour depending on your décor colour scheme. Read more here. Shape: Sectional sofas come in L, J, U shape, curve, symmetrical or L shape with chaise that could be right arm facing or left arm facing. Choosing the desired shape depends on the floor space you have in your living room. 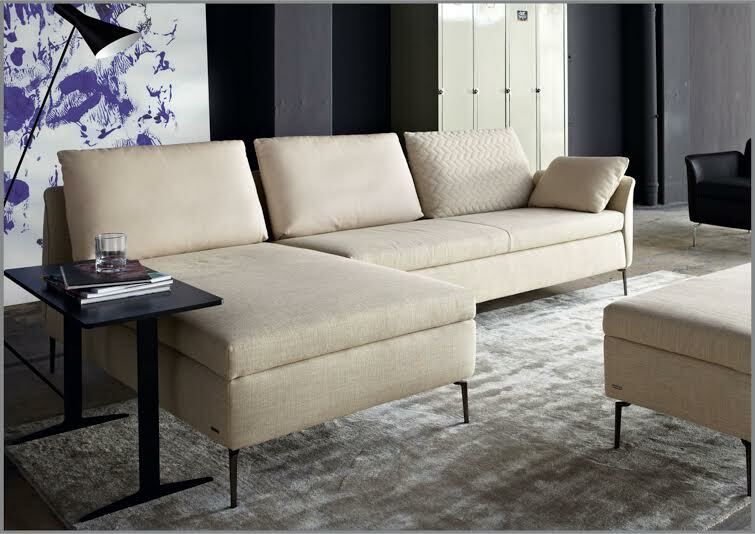 Upholstery: Choosing upholstery is more of a personal choice. Both fabric and leather sofa have wide options to choose from. Select one that needs low maintenance if you don’t have the time. And if you have the time, the products usually come with the care and maintenance leaflets that will guide you how to keep your sofa in its best condition. Design: There are many features when it comes to a sectional. Some of the features include stationary, storage compartments, reclining, modular, sleeper and convertibles. Each design differs in terms of functionality in a given space. Accordingly, the space has to be taken into constrain. Approach: The approach you want to give to your space entirely depends on your décor set-up. If your decor suggests contemporary look, likewise you can go for a chic, contemporary sectional sofa, if it suggests classic or traditional then similar approach for the sectional too. In addition, you also have oriental, country, coastal or ethnic style. You can distinguish a casual sectional with its large cushions, chubby lines, and loose pillows or a modern one with its tight, form-fitting cushions, no extra pillows, bold colors, and sleek lines. After you have decided on the kind of sectional you want, consider the pros and cons. These will help you settle on and pinpoint the factors you need to consider before buying one and not make costly mistakes you can easily undo. Sectionals are apt for living spaces with a large floor plan. Sectionals are great for rooms with unique shapes, for instance- with a modular sectional you can rearrange however you like. Can accommodate a lot of people. Can carry out a clean, modern look . They look best in large rooms with high ceilings. They provide a more casual look to your space. You’ll need less furniture as a sectional can seat many people. Creates a lounge and cosier atmosphere. 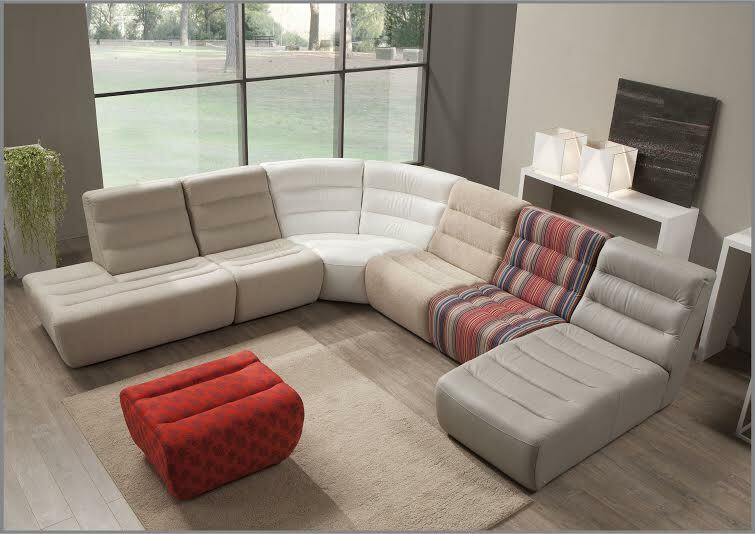 Great alternative to the normal configuration of seating arrangements like a three seater sofa and love seat. Can compromise for the price of a sofa, loveseat and chair. The seats are wide and spacious – you can sleep, relax, read, watch TV. Maximises the corner space, freeing up extra seating space. Sectionals are versatile when it comes to shape and size; they fit in small and medium rooms too in contrary to the ‘can fit only a large room’ concept. There’s less scope for rearranging furniture, so if you like to redesign your home often, sectional is not for you. The sectional size usually limits the room arrangement. Re-upholstering this sofa will be expensive. Can make your space look crowded. Not suitable for small and medium floor plans if the sectional is of a bigger size. They can overpower your room if you do not have tall ceilings. They may seem cumbersome, not typical of conventional shape and appearance which may make people dislike them. Not suitable for every type of lounge or room. May obstruct a window or doorway. If you decide to move into a new house, the sofa may not fit in with the layout of the new home. They could look out-of-place in an elegant, formal room or feel too casual. Space is the biggest consideration; you need to make sure you know the exact dimensions of the sofa that will fit in the available space and where it will go. Measure your floor space accurately to check what kind of sectional will fit your room, then measure the sofa or derive details from the store on–length, height and depth, after which you need to measure the entryways, doorways, stairways and all the way to get it to its destination. This step is extremely important so that you don’t end up struggling to get the sofa through the doorways and entryways. Getting the proper-facing arm (right-arm facing and left-arm facing) is vital. As you will be joining two or more pieces, the placement of the arm will decide if your new sectional works in your room or not. If you’re planning to buy a reclining sectional, you need to make sure there is enough room between the wall and the sofa so that you’re sectional reclines without any glitches. While choosing the shape of a sectional, you might want to consider how traffic will flow through the space depending on whether the sofa will be placed adjacent to a wall or in the middle or in the corner. Quality and durability are the most important factors when selecting a sectional sofa. You have to test-drive the sofa you’ve decided to buy and make sure you feel good sitting on it. Sectionals come with lots of features and style, so be certain you know what measures you need to take on the basis of its style. Whether a recliner sectional sofa sounds perfect for your family? Or, would you rather have a sleeper sectional sofa, so there is room for family to spend the night when needed? Or perhaps, a small sectional sofa would work better if you don't have much space. Consider your surrounding elements in the living space, larger units can make a room feel crowded, especially if it's a reclining sectional, though this is an exception in a large room. One that’s too small may also make the room feel sparse and not give enough practical seating. Make your sectional the centre of attraction. Cut down on other furniture so that they don't visually distract and take over the focus. Eventually, mull over all the above suggestions before that new sectional sits in your living space. Whether you choose a sectional sofa or prefer buying two sofas, it is a matter of personal taste and preference. 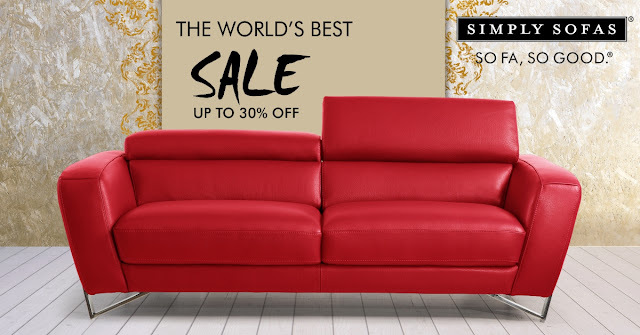 Visit Simply Sofas stores and find your sectional from our extensive collection of fine European furniture. Check out our sectional collection here.